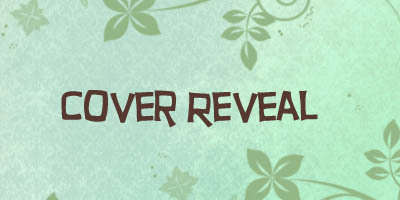 Today is the cover reveal for Hereditary by JA Belfield. 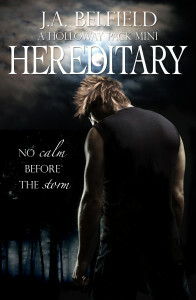 Hereditary is a short story that can be read independently of the series and will be available for FREE. The trouble with one-night stands: you never know who—or what—you’re sleeping with. Being a parent isn’t an easy ride. Even more so for single mum Shelley Lewis. When her thirteen year old son’s hormones kick in, she’s faced with his immense growth, insane sweat, and ridiculous hairiness, not to mention all the normal teenage issues. Discovering her only son isn’t human on top of those is the shock of a lifetime, and Shelley knows she’s the only one to blame. It may be too late to save her son from her mistakes, but she can still try to save Gabe from himself. For fans of J.A. Belfield’s Holloway Pack series, Hereditary is a look back at the origins for characters met in Resonance. I really like this cover. To me it screams werewolf with that dark feeling and forest in the background. And I like how the model seems to be batttling something. I also like the tagline, it just fits this story!